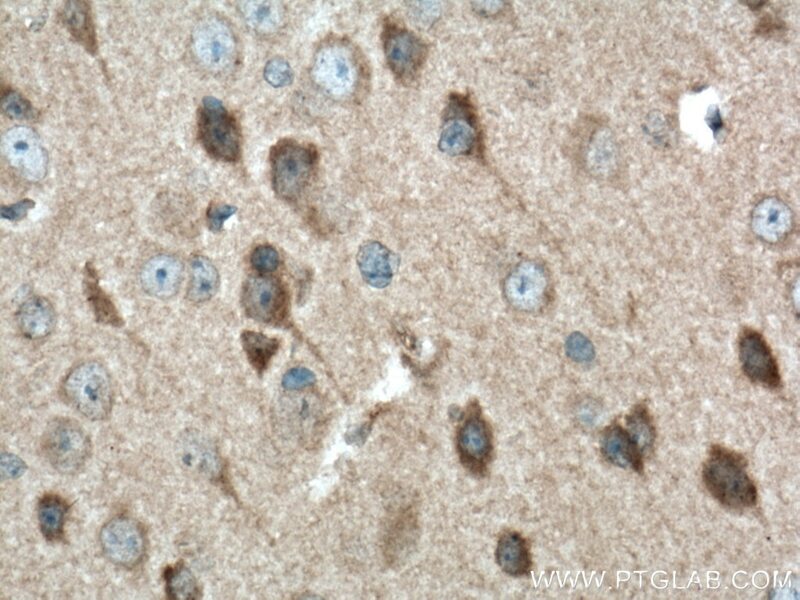 SQSTM1, also named as ORCA, OSIL, p60, EBIAP, A170, PDB3, ZIP3, p62 and p62B, is an adapter protein which binds ubiquitin and may regulate the activation of NFKB1 by TNF-alpha, nerve growth factor (NGF) and interleukin-1. 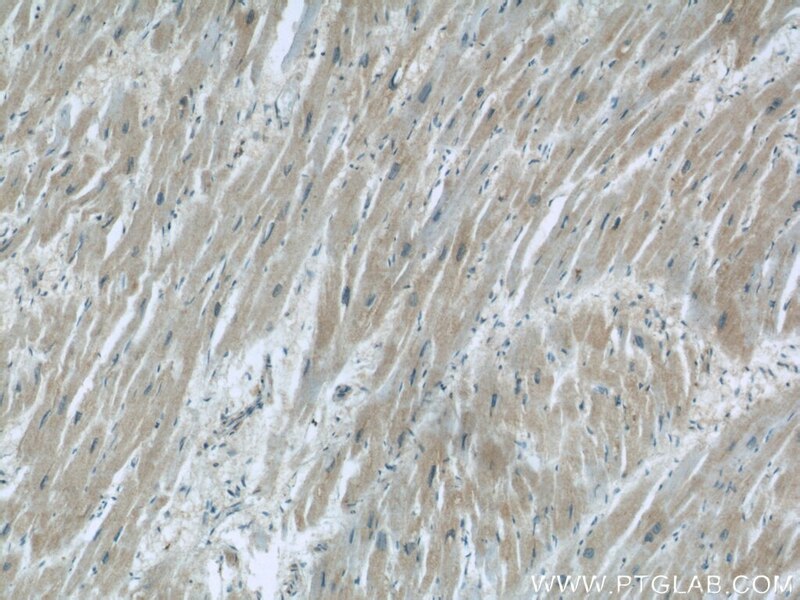 It may play a role in titin/TTN downstream signaling in muscle cells. SQSTM1 may regulate signaling cascades through ubiquitination. 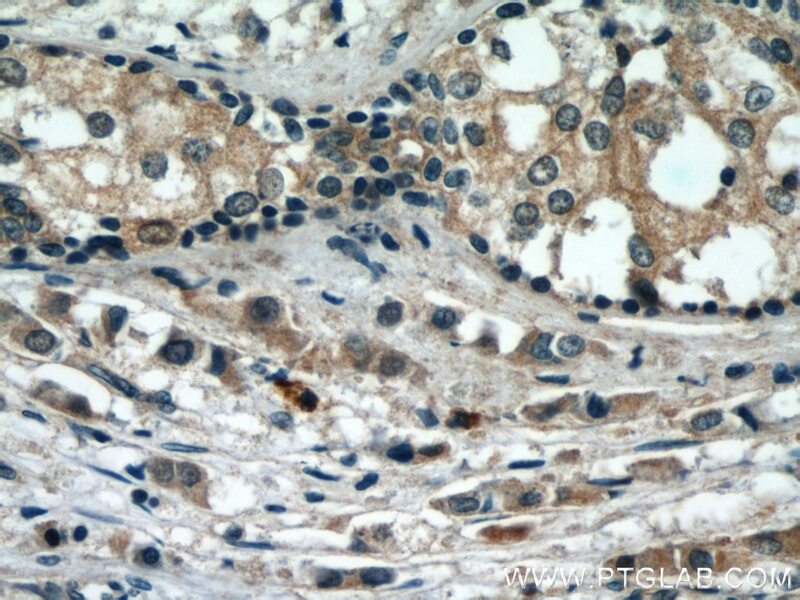 It is an adapter that mediates the interaction between TRAF6 and CYLD. 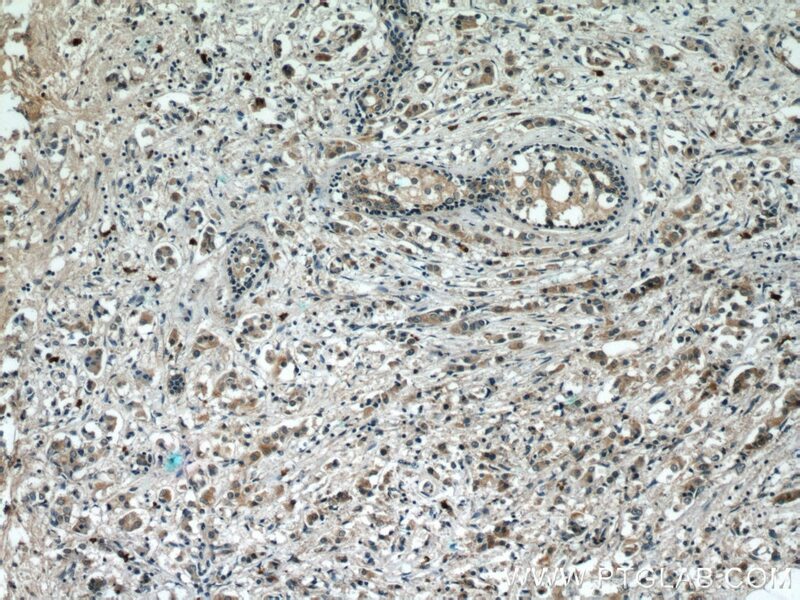 SQSTM1 may be involved in cell differentiation, apoptosis, immune response and regulation of K+ channels (PMID: 10356400). 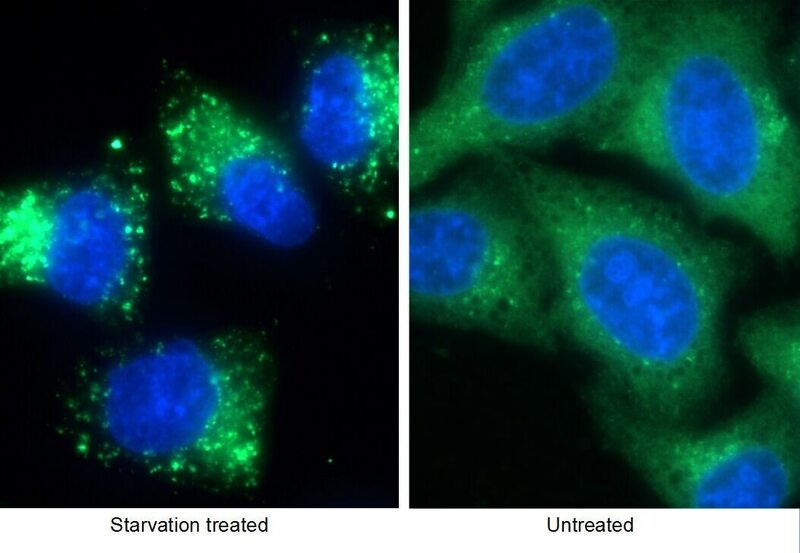 This antibody is specific to SQSTM1. Salidroside mediates apoptosis and autophagy inhibition in concanavalin A-induced liver injury. AAV-Mig-6 Increase the Efficacy of TAE in VX2 Rabbit Model, Is Associated With JNK Mediated Autophagy. 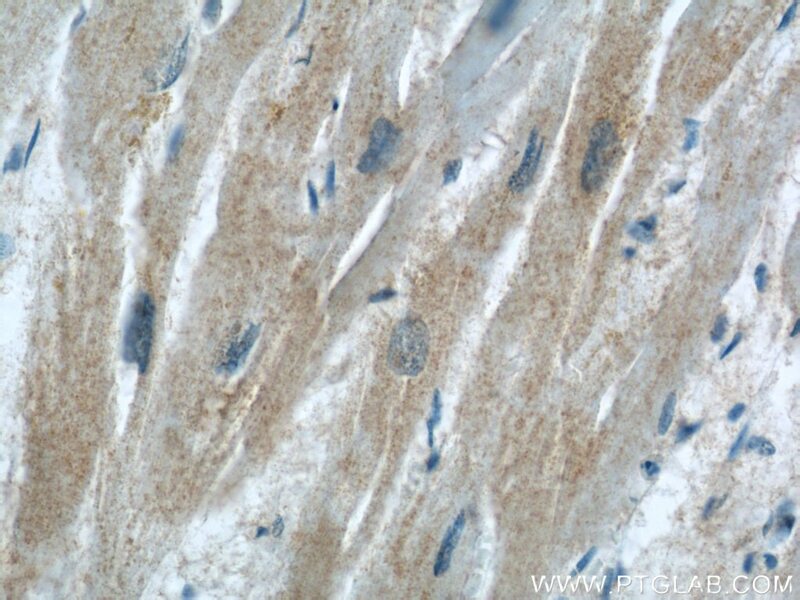 Immunohistochemical analysis of paraffin-embedded mouse brain tissue slide using 55274-1-AP (P62/SQSTM1 antibody) at dilution of 1:200 (under 10x lens) heat mediated antigen retrieved with Tris-EDTA buffer(pH9). 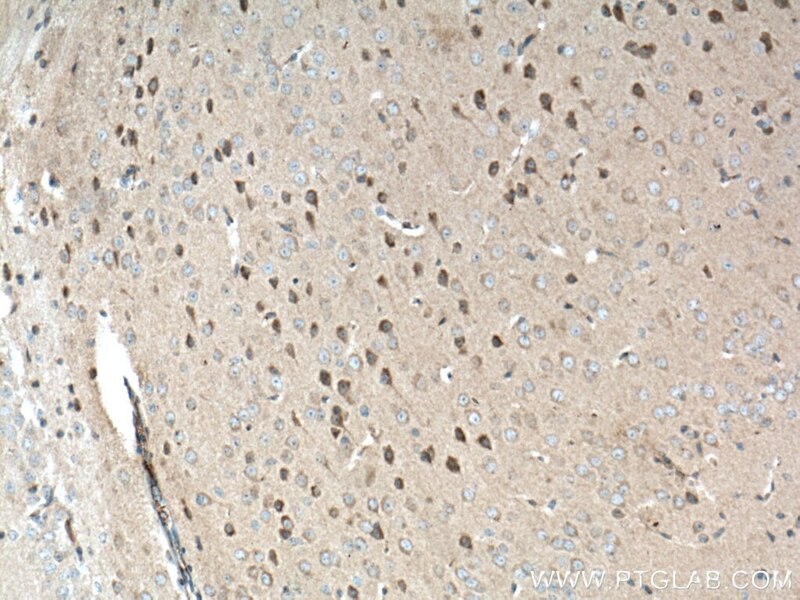 Immunohistochemical analysis of paraffin-embedded mouse brain tissue slide using 55274-1-AP (P62/SQSTM1 antibody) at dilution of 1:200 (under 40x lens) heat mediated antigen retrieved with Tris-EDTA buffer(pH9). 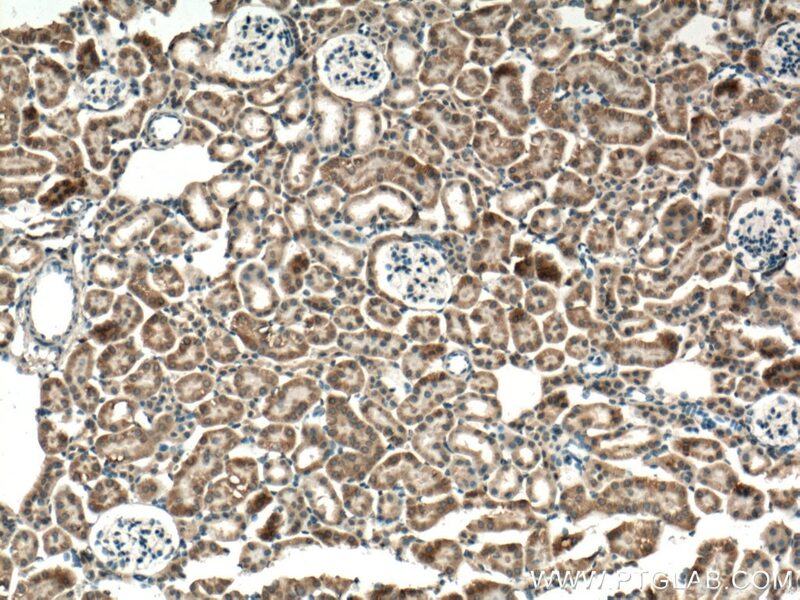 Immunohistochemical analysis of paraffin-embedded mouse kidney tissue slide using 55274-1-AP (P62/SQSTM1 antibody) at dilution of 1:200 (under 10x lens) heat mediated antigen retrieved with Tris-EDTA buffer(pH9). 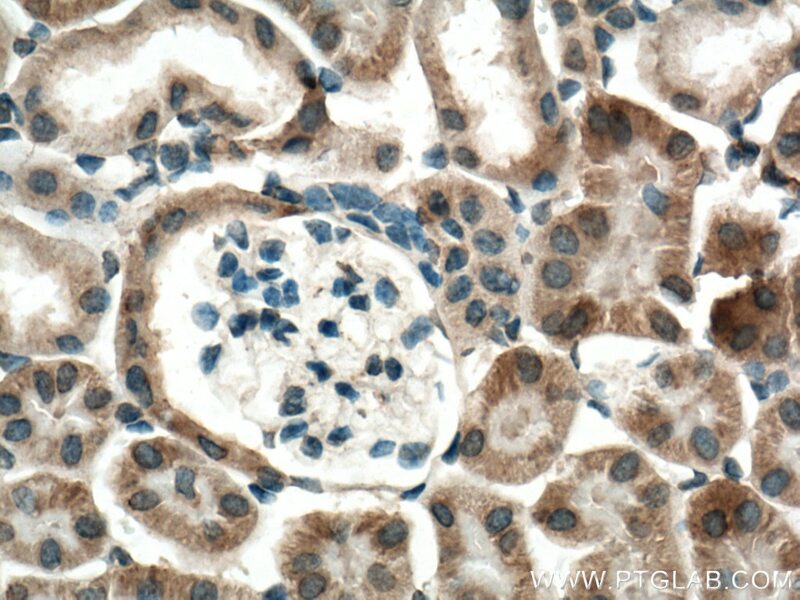 Immunohistochemical analysis of paraffin-embedded mouse kidney tissue slide using 55274-1-AP (P62/SQSTM1 antibody) at dilution of 1:200 (under 40x lens) heat mediated antigen retrieved with Tris-EDTA buffer(pH9).